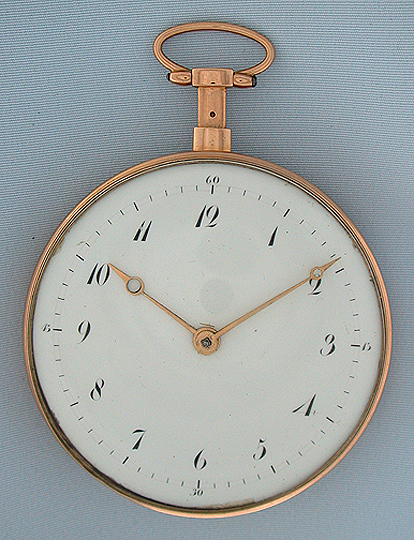 Fine and very rare early keywind 18K gold minute repeater circa 1800. 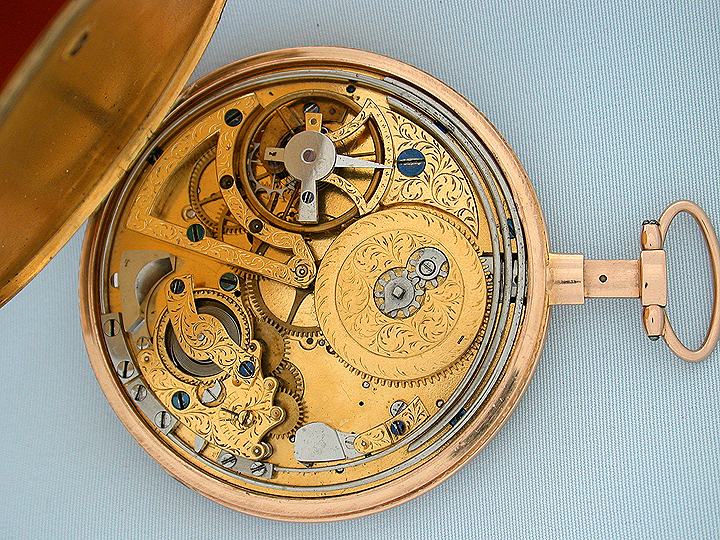 Gilt and engraved early lepine caliber 6 jewel cylinder movement repeating on three square section gongs with three hammers. 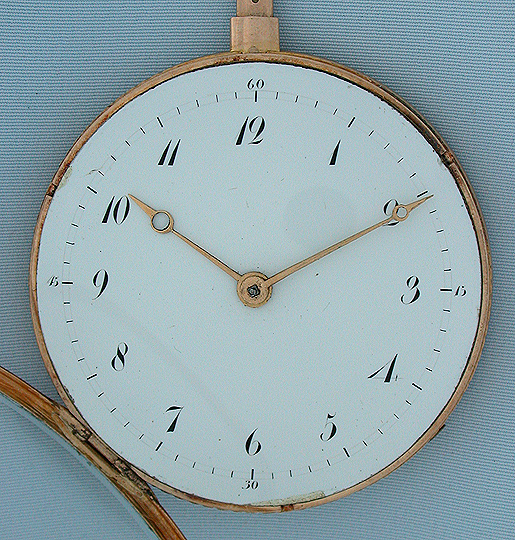 White enamel dial with gold Breguet hands and minor edge repairs under the bezel. 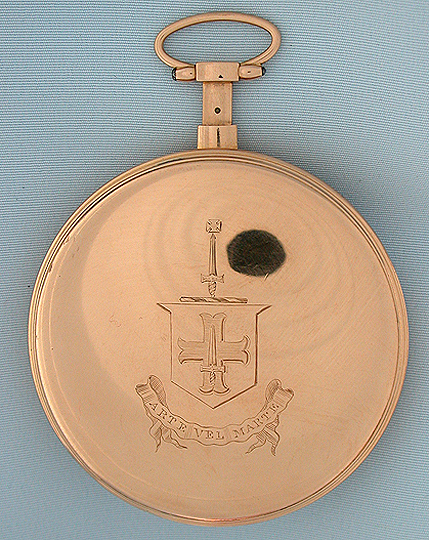 Slim plain polish with coat of arms on the back and push pendant to activate the repeater. Sold with a copy of an article on this particular watch from a French watch collector's journal.